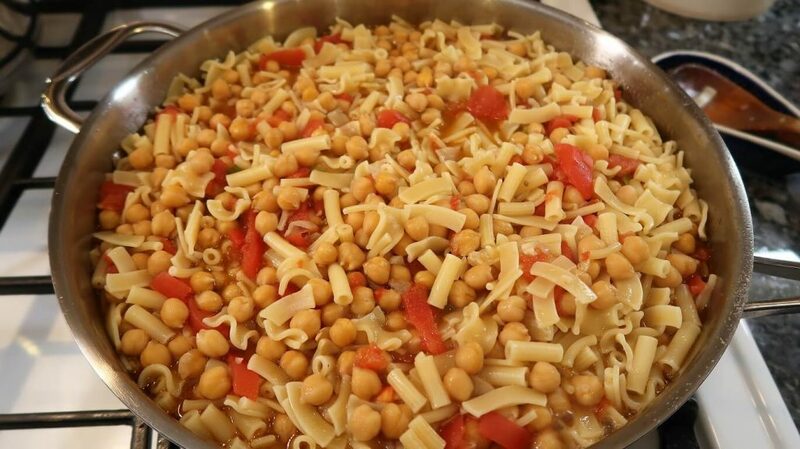 Begin by cooking the chickpeas. 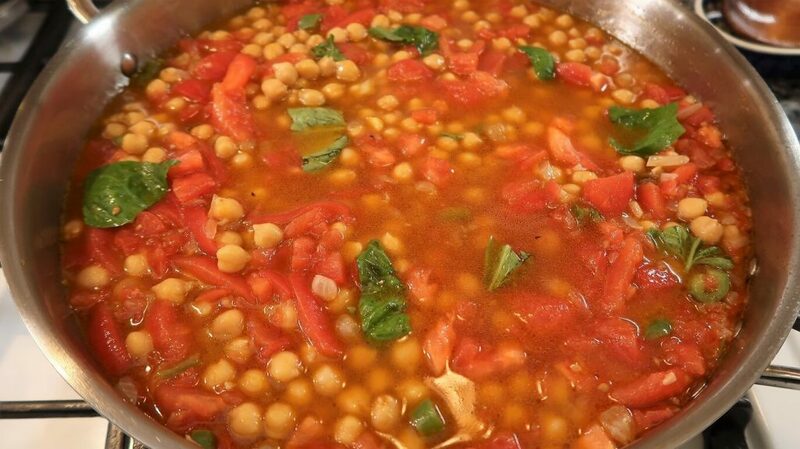 Wash the chickpeas and fill a pot with water. Add the chickpeas to the pot and bring to a boil for three minutes. Turn off the flame and cover the pot with a lid. Let soak for five to six hours. Remove lid, bring to a boil and cook over a low flame for one hour. This is assuming you want to get started early in the morning, and have something quick and ready to go later at night. If not, please follow the directions on the packaging. 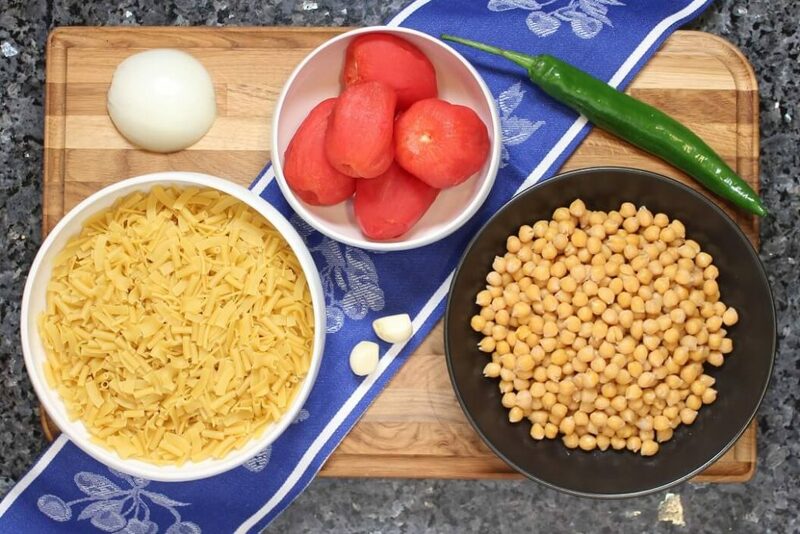 Once the chickpeas are cooked, start cooking the rest of the ingredients. Bring a pot of water to a boil, which will be for cooking the pasta. In a deep skillet, add some olive oil and let it heat up for about 30 seconds. Next, mix in the onion, garlic and the optional hot pepper. You will saute these ingredients together for a few minutes, making sure that they do not burn. Once these are ready, you will add in the plum tomatoes, and give it a stir. At this point the heat should be on medium-low. We’re going to let this cook for about 5 minutes, giving it an occasional stir. Next, pour in the chickpeas and the water they were cooked in into the deep skillet and give it an even stir. At this point you can add a few leaves of basil to give the sauce a delicious flavor, as well as salt and black pepper. You’ll let this cook for about 10 minutes on medium, stirring occasionally. Now it’s time to cook the pasta. Once the water is boiling, add salt to the pot of water and add in the pasta. Cook for three minutes less than the package instructions. 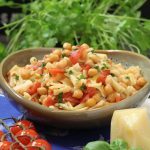 Next, drain the pasta and add into the chickpea skillet and continue to cook for three minutes over a low flame, making sure to stir continuously. Remove from the stove and serve. Sprinkle some parsley and pecorino cheese on top and enjoy! Salute and cin cin! 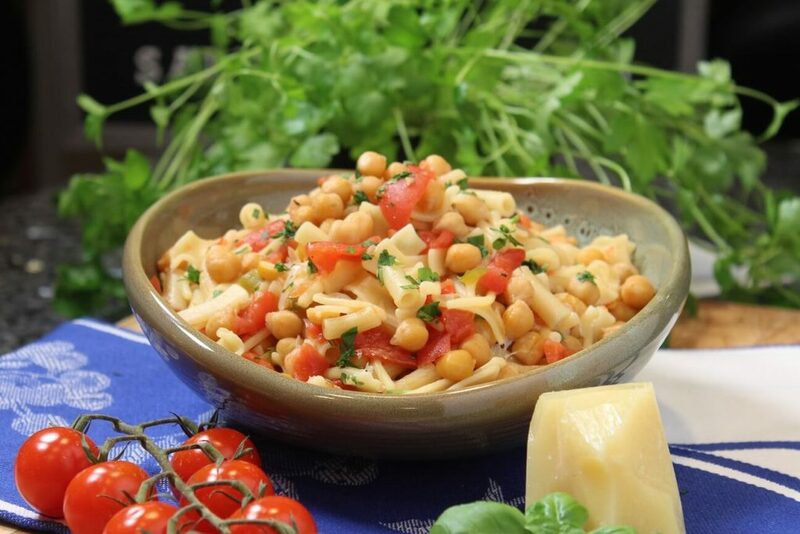 Today I am sharing with you my pasta with chickpeas recipe! 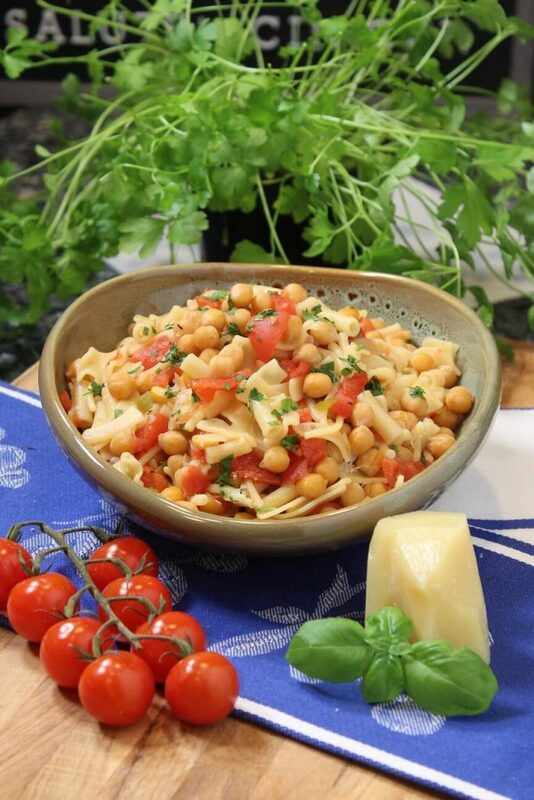 This delicious pasta with chickpeas recipe is the red sauce version. You can also make a white sauce version without using tomatoes. Both versions are so tasty!